Indigo, which owns Frontier Airlines, has provided WOW Air with a cash injection. 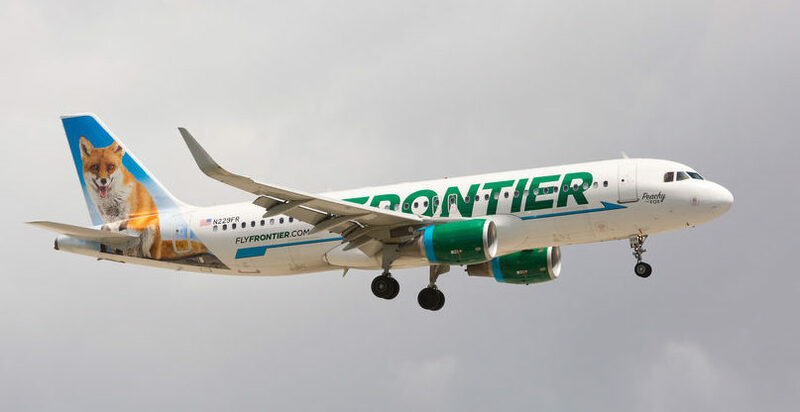 The owner of the United States ultra-low-cost airline, Frontier Airlines, has saved Icelandic airline WOW Air from bankruptcy after fellow Icelandic airline 'Icelandair' cancelled plans to buy them out. Indigo Partners, which also owns Mexico's 'Volaris' and Europe's 'Wizz Air', has injected an undisclosed amount to allow the airline to restructure and pay off debts. This investment comes just hours after Iceland's flag carrier airline, Icelandair, scrapped plans to buy out WOW to fears over its own funds and outrage from creditors. At a recent meeting, the deal was heavily criticized, mainly because of the fact that Icelandair has also been making losses for many years. In a statement, Icelandair's CEO, Bogi Nils Bogason called the move by his shareholders "certainly disappointing" and thanked the management of WOW for co-operating with them. "All our best wishes go out to owners and staff of WOW Air" he added. WOW Air was launched in 2011 as a low-cost alternative to the country's expensive air links. It initially had a pair of Airbus A320s, named 'WOW Force One' and 'WOW Force Two', and it operated flights between Keflavik Airport in Iceland to a handful of major European airports. However, in 2015, they noticed they were right in the middle of a perfect way to operate insanely cheap long-haul flights between the US and Europe. This method involves operating smaller aircraft from the US to Keflavik, and then onwards to Europe. This fairly simple concept has been able to cut long-haul fares massively, with many of their stopover flights regularly being on sale for just $99 one way, over a third cheaper than the average long-haul fare. However, the airline expanded this model far too quickly, going from 2 to 20 planes in just three years. Due to the previous low oil price, this hasn't been a problem, however, due to the massive price spike, the damage has been clearly noticeable. With ever-increasing debts and reduced passenger numbers, the airline was forced to change it's tactic and begin a new route to Delhi in India, and start to focus on low-cost flights to Asia. However, this new decision has proven to be a disaster, as WOW has already announced they will be cancelling their Indian flights, and they haven't even begun operating yet. Above: WOW Air's CEO and flight crew launching flights to Vasteras in Sweden. This route ended a few months after being launched. Tensions began to boil in November when it's creditors demanded it pays them or faces immediate removal of services. This caused WOW to admit that they were on the verge of bankruptcy and to begin looking for investment. However, this failed to satisfy creditors and has resulted in one of its aircraft lessors to seize four of WOW's aircraft, which has caused hundreds of flight cancellations and even routes being ended. In early November, Icelandair suddenly came forward as the buyer for WOW. The Icelandic government backed this plan, saying it would be better to just have one airline if both Icelandair and WOW Air can't make a profit. However, Icelandair's shareholders heavily criticized this deal, claiming Icelandair can't afford to purchase another airline. Icelandair's management eventually agreed and called off the deal. This was followed by rumours that WOW had no money to pay its staff and that it would be forced to appoint administrators if it couldn't find a new source of cash. These rumours have now been put to rest following the deal with Indigo Partners. With Indigo's money, WOW will restructure its operations in an attempt to be turning a profit. In 2017, low-cost long-haul flights were all the rave, however, they've taken a massive hit in 2018. Due to the rising price of oil and weak exchange rates, many low-cost long-haul airlines like WOW Air have been forced to downsize and even close down. The concept isn't new, and was first introduced in 1977 by Sir Freddie Laker, who ran two airlines named 'Skytrain' and 'Laker Vacations'. However, Skytrain shut down just 5 years after launching due to an emerging recession in the UK and illegal fare cuts made by his rivals. However, in recent years, this concept has been reborn due to the introduction of more fuel-efficient long-haul aircraft, such as the Boeing 787 and the Airbus A350. The current market leader is Norway-based 'Norwegian Air', who have a massive fleet of 40 Boeing 787s and fly from 11 European airports to 21 US destinations, and a handful of Asian and South American destinations. However, Norwegian also has outstanding debts of over $2 billion, which has sparked fears that the airline could be grounded at any time. Other airlines haven't been so lucky. Newcomer Primera Air shut down in September after only 9 months in the long-haul market, and low-cost airlines Air Belgium, Air Berlin, and Cobalt Airlines cancelled their long-haul flights due to heavy debts. The airline graveyard has grown at an astonishing rate this year, could WOW be the next airline to join it?